Yes, it’s that time of year again. Christmas is over, New Year celebrations seem to be long gone – so what next? Australia Day of course! This iconic day represents different things to different people but one thing is certain – it is a day of celebration of all things Aussie and a chance to get together with friends and loved ones. 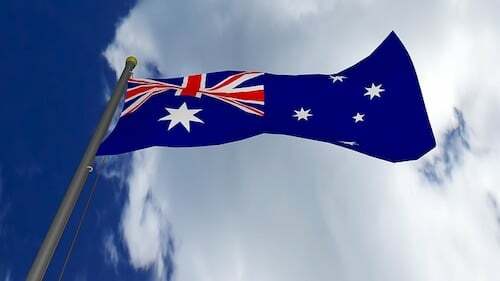 Traditionally, us Australians acknowledge our ‘lucky country’ by going down to the Perth Foreshore or one of the many vantage points to ‘ooh’ and ‘aah’ at the fireworks with a picnic and waving Aussie flags while listening to Cold Chisel and the Hoodoo Gurus (just to name a few). Other popular ways to celebrate the day feature throwing a few bangers and sausages on the barbie while downing a few ‘tinnies’ and playing cricket in the backyard or heading down to the beach. But us Aussies are an adventurous lot and not shy to try something new. So, on that note, how about trying a new way of celebrating Australia Day in Perth this year? Why not head to the Swan Valley (just 25 minutes from Perth) where you will be spoilt for choice. This award-winning winery has been pleasing discerning palates since its inception in 1840 and its’ wines are exported all over the world. Why not try for yourself and book a table in the restaurant where you have a choice of sitting in air-conditioned comfort in a rustic setting or opt for the ‘great outdoors’ and dine alfresco on fresh regional produce with vineyard views – The choice is yours. Want something a little different? You can’t go past Swanbrook Boutique Winery for a casual lunch with unique menu items such as wine-infused burgers and even sorbets infused with wine – very refreshing on a hot Aussie summer’s day. Feel a cold beer might be more in keeping with the Australia Day spirit? Lauded as the brewery for beer lovers, Feral just might be the perfect spot to bring the family this Australia Day with a choice of restaurant dining or the more casual beer garden, with a playground for the kids and you can even bring your best friend, the dog. Their beer is pretty darn good too! Ironbark is distinctly Australian with a great outdoor setting amongst shady trees and jarrah furniture. This microbrewery offers a large selection of award-winning beers and ciders to wash down your Shearer’s Chicken or Stockman’s Beef – now you can’t get more Aussie than that. Worried about transport and drink driving? No need – Let Top Gun Tours relieve you of that by booking one of our Swan Valley Wine Tours or Brewery Tours or chartering one of our luxury, air-conditioned buses. Then, all you’ll need to do is eat, drink and be merry. Posted in Things To Do and tagged Australia Day, Swan Valley on 23rd January 2019.